PPS officials push back on Secretary of State's report with claims that things are slowly improving. 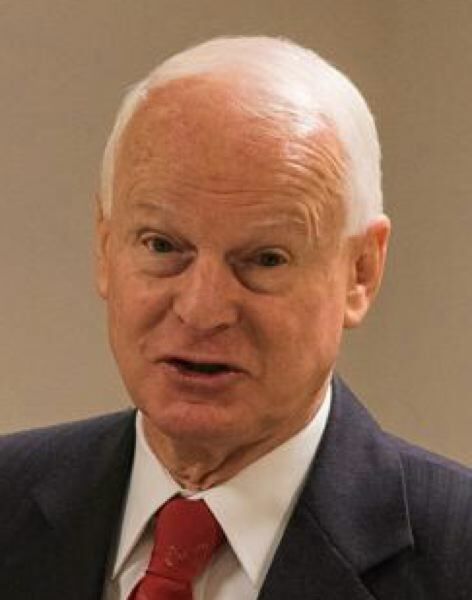 Secretary of State Dennis Richardson's office released a bombshell of a report Wednesday, Jan. 9, calling into question how the state spends more than $4 billion annually on K-12 education. The audit — focusing on the Oregon Department of Education and the Portland Public Schools district — describes an education system where large sums of money are spent with little strategy or accountability. The political context for the audit is ripe for controversy. Richardson, the state's first Republican secretary of state in a generation, has released the audit weeks before the heavily Democratic 2019 state Legislature convenes. Democratic Gov. Kate Brown serves double duty as the state's superintendent of public instruction — the head of ODE — and has promised major changes to education funding. On the heels of the report, Brown said she would convene a special session of the State Board of Education next month to create better cost controls. She will also ask ODE and the state's superintendents to outline the barriers they see to reform and accountability measures. Due to local property tax limits voters set in 1990, the state provides the bulk of public schools funding in Oregon. Students identified as having higher needs — such as those who are impoverished, who speak a different first language, or who have a disability — are given more weight in the funding formula. But, auditors found, after the districts get their total state disbursement, there are few checks on how they spend the money they get from ODE. "At the Oregon Department of Education and Portland Public Schools, monitoring of spending and evaluation of performance is limited and inconsistent, even as student performance continues to lag," according to the report. "This lack of sustained focus limits achievement gains and affects students at high-poverty schools the most." In a Tuesday afternoon press conference — prior to the report's release — Portland Public Schools officials blasted the audit as unfair and inaccurate. They said the district has been making significant improvements — which were not taken into account — since the audit began a year ago. "If the community believes that we're still in 2016, it's going to be a misleading perception," said School Board Chair Rita Moore. Moore said persistent problems in PPS are from "very weak infrastructure" and the improvements being made so far are "the kind of things that are going to be invisible." "There was a time when this kind of audit would have been a public service on PPS, but coming right now — it's not highlighting the changes that are happening. It's highlighting past practices," Moore said. She added that she feared the report would damage public education interests in getting more money this legislative session. "If this audit undermines that inchoate faith that things are happening, I think that would be tragic," she said. "I think we've got the district back on track in a number of areas," agreed School Board member Julia Brim-Edwards. "This is a very different district than it was a year and a half ago." Brim-Edwards said the school board and central office administrators are well aware that the district has many "legacy" issues. "In fact, that's why many board members ran for the board," she said. • The Oregon Department of Education doesn't monitor or review most local spending. • PPS could save money if it spent less on administrators, bus services, substitute teachers, health benefits and legal costs. • PPS could be more transparent in how it spends money and more clearly tie investments to boosts in achievement. 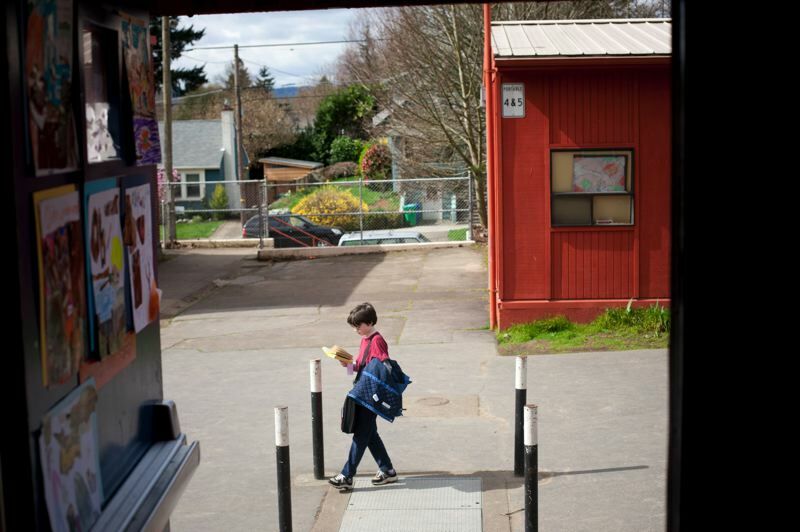 • Grants serving Oregon's most vulnerable kids don't have good oversight, meaning schools serving high numbers of African-American, Latino, and low-income students are suffering from a lack of "sustained focus." • Inequity at PPS also includes a pattern of teachers and administrators fleeing high-poverty schools, and a lack of coordination between teachers and administrators on approaches to student discipline. • Compared to peer districts, PPS performs worse with students of color and better with white students and those who aren't low-income. • The auditors do not see these trends substantially improving any time soon. • To correct these issues, auditors made 26 recommendations. • A key recommendation for the state department was to develop quality controls on its grants, develop an investment strategy and an enforcement plan. • For PPS, specifically, auditors recommended the district investigate financial savings opportunities. They also recommend structural changes to improve high-poverty schools, including better pay and training for teachers — and more of them. PPS officials pointed to a number of successes under the school board elected in 2017 and Superintendent Guadalupe Guerrero. These included: the successful superintendent search, upgrades to board policies and procedures, opening three new schools, a squeaky clean accounting audit, improvements to contracting practices, and labor agreements with its unions. But district officials were careful not to directly point the finger at the woman who ran PPS for nine years. Carole Smith suddenly announced her retirement in 2016 after a lead-in-water scandal brought district management issues to a head. The ensuing months lead to several interim superintendents and a huge amount of turnover in the district's central office, and on the school board. 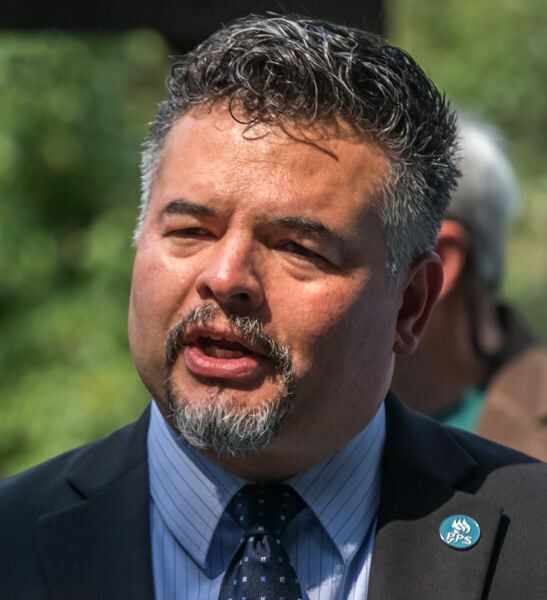 Superintendent Guerrero emphasized that, under his leadership, things are improving in the district — though maybe not in ways that parents can see. "We're moving as rapidly as we can to transform those areas," Guerrero said. 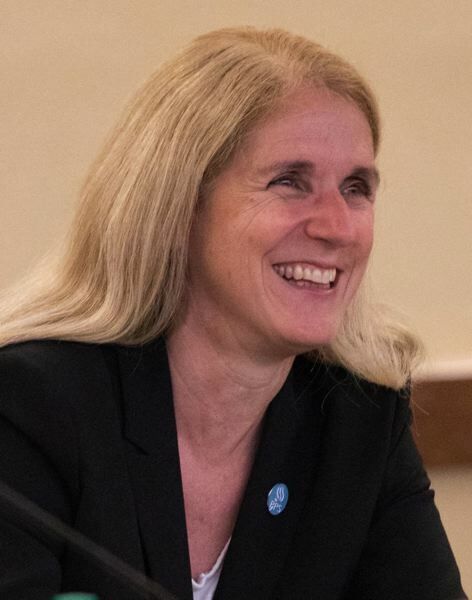 The superintendent, who serves as a leader in a national organization of urban school districts, added that some of the issues are not unique to PPS. "I'm not aware of an urban school district that doesn't have an achievement gap," he said. Guerrero said his team is already working to fix the issues identified in the report. "It's hard to disagree with: 'We should be doing better with underserved communities.' Absolutely, we should," he said. "It's not a secret what are some of the things that we should be doing." Guerrero emphasized the development of a district-wide core curriculum — the first phase of English and math curricula rolled out in the fall. But these and other instructional changes, Guerrero admitted, are still at a "very nascent developmental stage right now." The secretary of state's report did note the many "helpful" changes PPS has underway but warned that there are still many risks of failure and delay. "… PPS's substantial work-in-process, long-running student performance challenges at the state and district levels, expected cost increases, and a new state accountability system increase the risk that a sharp, unified focus on improving student achievement will be further delayed," according to the report. 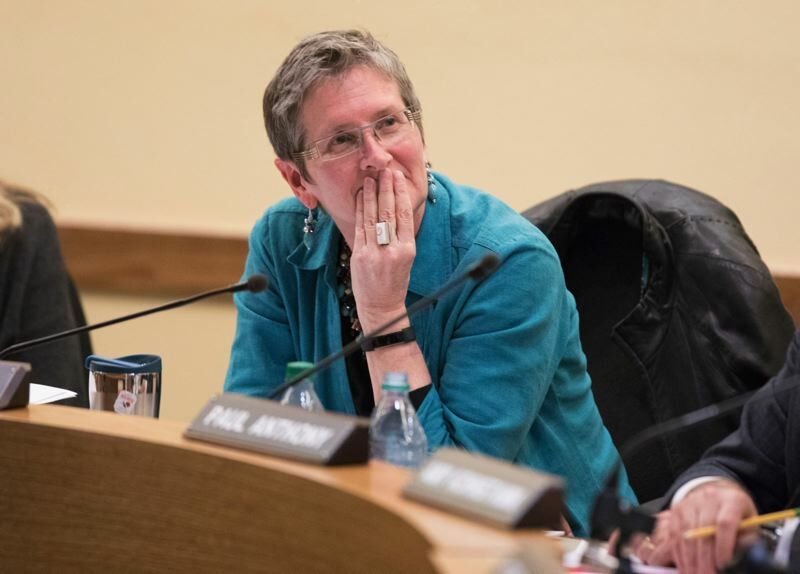 The audit specifically called out the unusually complex contract with the Portland Association of Teachers union for making it easy for teachers to consider high-poverty schools a last resort. High-poverty schools "not only get the least-qualified new applicants, but then we get the people who are guaranteed jobs but have been passed over for openings at other schools," an unidentified principal at such a school is quoted in the report. In analyzing data, auditors found that 58 percent of teaching staff at high-poverty schools turned over between the 2015-16 to 2017-18 school years. At schools with higher socioeconomics, only 35 percent left in that time. Auditors highlighted the example of Rigler Elementary School in Northeast Portland where low class sizes haven't been enough to overcome the huge amount of staff turnover and a lack of amenities like band, choir or a computer lab. The "high pace of change and instability takes its toll," auditors said, "contributing to student conduct issues and frequent classroom disruptions." Guerrero said he is already talking to the teacher's union about staffing changes in line with the audit's recommendations. He talked about additional pay, more planning time and the creation of teacher teams that could work together to effect change and tamp down turn-over rates. "That's the work we're going to have to embark on moving forward," he said. Four secretary of state auditors were embedded in the district for about a year to produce the comprehensive report. The 98-page audit cost a little more than $1 million. UPDATE (1/9/19): Updated cost figures for the audit were provided by the secretary of state's office. Additional comments were provided by the governor's office.